Everybody who goes on YouTube, other social media, or the internet, in general, knows about the still raging war between PewDiePie’s 9-year-old army and T-Series, Bollywood, and almost all of India. Preparing for T-Series to surpass him, PewDiePie (with the help from Boyinaband and RoomieOfficial) had made a music video congratulating T-Series for dethroning him as the number one YouTuber with the song called well “Congratulations“. In the song Congratulations PewDiePie congratulates T-Series (obviously) and points out illegal and ignorant things T-Series had done such as starting their company off of “pirated” Bollywood songs, avoiding a huge tax evasion, and having ties with the Indian Mafia and on the ignorant side they sent a cease and desist to PewDiePie claiming defamation over PewDiePie saying “Hold your defecation” to T-Series in his song “B*tch Lasagna“. After the release of the song (Congratulations), PewDiePie took T-Series down and gained one million subscribers in two days and mocked Jake Paul by repeating one of the lines from Jake’s song “It’s Every Day Bro“. Pewds mocked one of the “Kings Of Vlogging” by using Jake’s own lyric “Five mill on YouTube in 6 months never done before passed all the competition man PewDiePie is next” against him by showing Jake he can pass 1 million in two days. PewDiePie and T-Series have grown a great amount this year both at 91+ million subscribers. PewDiePie is still crowned the most subscribed YouTube channel but T-Series is only 6,000+ subscribers away. Though T-Series has passed PewDiePie multiple times he hasn’t won entirely; the rules to winning is the first channel to get to 100 million subscribers wins. Though PewDiePie is very popular and has been getting a lot of support from famous people such as MrBeast 6000, Elon Musk, and Justin Roiland T-Series has the support form all of Bolly Wood (an Indian film company). With T-Series catching up to PewDiePie you can expect a lot more post about their progress. Behind The YouTuber|T-Series good for YouTube? Though on I’m on PewDiePie’s side of the war I don’t think T-Series would be entirely bad for YouTube if they win. T-Series is an Indian record company associated with Bollywood (an Indian film company) and is a mainstream music source for India. 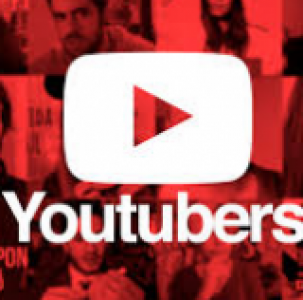 On YouTube, a big majority of YouTubers are American or British and if T-Series wins they would add a bit of diversity amongst the YouTube community. This diversity could inspire people (mainly younger audiences) to accept and embrace a different culture. The reason I underlined “could” was because with PewDiePie’s effort to stop T-Series it would probably cause more hatred and even some violence towards T-Series employees and supporters. If you’ve seen most of my blogs then you know what this is about but if you haven’t then go to my site and look at some of the other posts on my site. Both channels have grown and have been at war for about half a year now and have grown tremendously. Though the channels are growing in success they’re not necessarily both growing in success (you’ll see what I mean later). As I said both channels have grown both at 88 million subscribers with trillions of views over YouTube and both with thousands of videos; PewDiePie is losing his spot as king with T-Series less than 30 thousand subscribers than PewDiePie. You might be thinking “30 thousand that’s so much though!” well then you’re forgetting one thing these are the people with the two fastest-growing channels in the world gaining 30 thousand subscribers would be like a billionaire getting 30 thousand dollars, basically the subscriber equivalent of chump-change. Almost everyone in the YouTube community is all for PewDiePie to win but not really doing anything to make that dream a reality. I’m not saying no one is doing anything to help PewDiePie’s cause, people are making multiple YouTube accounts and subscribing to PewDiePie never to be touched again and other really successful YouTubers are doing support videos just to keep Pewds on top. PewDiePie and T-Series have grown a lot this year both not to far behind one another. Both channels are in the million and fighting for the spot of 100 million. PewDiePie is still the number one subscribed channel. Both channels are 14,000 subscribers or so away. PewDiePie is the most liked channel and almost everyone wants him to win (me being one of those people) but there is some good that would come along with T-Series winning. T-Series is an Indian record company that created a YouTube channel and struck rich from it. Most YouTube channels are run by American content creators and the ones that aren’t are not very successful. T-Series winning would add some diversity to YouTube as a platform. Adding diversity will influence kids and adults alike to embrace accepting other cultures, races, and countries around the world. Though T-Series isn’t my favorite YouTuber nor is he my choice to win but I do think they would be a good influence on kids in the YouTube community. LemonJuiceDwarf or Tyler was born October, 19th 2007 in Richmond California. Tyler created his channel on April 26th, 2018. Tyler created his channel under the influence of PewDiePie and his friend Damian Plays. A young YouTuber and with a small channel Tyler has been even more motivated to grow his channel and entertain his audience. Believe it or not, the channel Tyler created started as a joke. With his first video “Kid throws pie in teachers face” he grew an audience. By the time he hit 30+ subscribers, he had made a YouTube friend (a friend met over YouTube) named Fishy Face. All though his channel is small it’s growing fast. With 64 subscribers he is growing closer to 100 subscribers. For more information on YouTubers stay tuned and keep reading. Jenn McAllister was born on July 9, 1996. Jenn is an American actress, author, and obviously a YouTuber. In March 2013, McAllister signed a YouTube partnership deal with AwsomenessTV and shortly after, in July 2013, McAllister moved from her home in Pensylvania to Los Angeles, California. On April 30, 2014, Jenn reached one million subscribers on her jennxpenn YouTube channel, followed by a 16-city North American tour in celebration of the accomplishment with fellow YouTuber Tyler Ward, taking place at the beginning of May and the entirety of June. In June 2014, McAllister signed a YouTube management deal with Fullscreen. McAllister created her YouTube channel jennxpenn at the age of 12 on January 15, 2009, but already had prior YouTube experience through a channel created beforehand with a friend.McAllister currently has two YouTube channels; her main channel, jennxpenn and her vlogging channel, Jenn. In September 2014, McAllister partnered with the nonprofit organization Our Time releasing a video telling her viewers aged eighteen or above to register themselves to vote in the United States. In 2015 Jenn released a book called “The Really Professional Internet person”. Though I don’t watch her videos her book “The Really Professional Internet person” gave me tips tricks and lots of other advice when I decided to start my own YouTube channel “LemonJuiceDwarf“. Later on, I will do a blog on my channel and a couple of friends channels. Stay tuned for more information on other YouTubers. PewDiePie and T-Series have grown a great amount this year. PewDiePie has 82+ million subscribers and T-Series not so far behind. The first person to hit 100 million subscribers will be declared the crowned winner. No matter who gets to 100 million first the numbers can change at any time kicking either one off the throne of number one YouTuber. T-Series is not too far behind PewDiePie in subscribers and this is making fans of both channels inraged. Mr.Beast, Jaiden Animations, TheOdd1sOut, and many other YouTubers have fought for PewDiePie to keep him at the spot of number one on YouTube. People are waiting for the 2019 Super Bowl hoping there will be an ad helping PewDiePie in this battle against T-Series. Mr.Beast, Jaiden Animations, TheOdd1sOut, and many other YouTubers have fought for PewDiePie to keep him at the spot of number one on YouTube. People have said that most of T-Series subscribers are fake which is partly true. Saying that most of T-Series subscribers are fake is true because of T-Series’s deal with YouTube saying that anyone from India who creates a YouTube account is automatically subscribed to T-Series. PewDiePie & T-Series have both grown in subscribers over the year. In the new year currently, PewDiePie has 80+ million subscribers and T-Series at a solid 79+ million. The gap in the number of subscribers has decreased this past year, with the subgap closing tension is rising in fans of both channels more controversies have started. One of these controversies is PewDiePie’s “distrack” on T-Series “Bi*** Lasagna“. The song has gotten a lot of hate and a lot of love from both sides of the community. With the song standing at a solid 96+ million views and 5 million likes, people are wondering and waiting for T-Series’s response. PewDiePie’s song started to make some of his fan base and other media start to say things rude and flat out racist towards India since T-Series is an Indian channel owned by an Indian song company. With all the hate from his fans and other media, PewDiePie himself was getting a lot of hate from the YouTube community. PewDiePie responded to the hate with a video explaining that the song wasn’t a hate video on India or a hate video at all but a video pointing out the size of his and T-Series’s channel while trash talking to and about the channel T-Series. With all the crazy controversial stuff happening between both channels both fan bases have been somewhat out of hand, but if you want to stay up to date with these controversies you’ve come to the right blog. Stay tuned and have a great year.